It’s pole position for Marc Marquez (Repsol Honda Team) at the Gran Premio Motul de la República Argentina thanks to his 1:38.304 in Q2, the reigning World Champion topping second place Maverick Viñales (Monster Energy Yamaha MotoGP) by 0.154 and Championship leader Andrea Dovizioso (Mission Winnow Ducati) by 0.164. 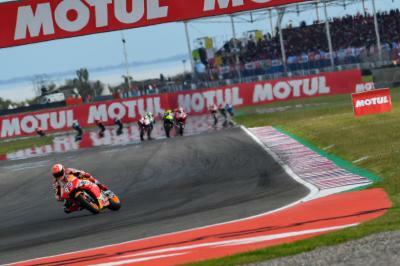 It was Marquez who led the MotoGP™ class out in Q2 as the Spaniard and teammate Jorge Lorenzo tangoed around Termas in tandem on their opening flying laps, with the number 93 setting an initial benchmark of 1:38.767 to go top. Lorenzo was second but not for long, with Cal Crutchlow (LCR Honda Castrol) and Jack Miller (Pramac Racing) exchanging second fastest laps, with the British rider eventually heading in after the first stint as Marquez’ closest challenger – 0.188 the gap, with Miller, Valentino Rossi (Monster Energy Yamaha MotoGP) and Viñales the top five, Dovizioso down in P9 at this point. Marquez emerged from the box again as he went for the two-stop Q2 strategy, but his second run was ruined at the first corner after a slight mistake under braking. 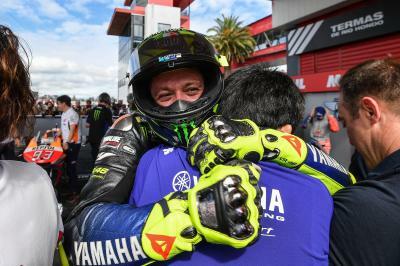 He headed straight back to the pits and with five minutes remaining, the 12 riders were back out on circuit with fresh rubber at their disposal for a shot at pole. And a shot at pole is exactly what seven riders were going for as seven red sectors lit up the timing screens in FP1. 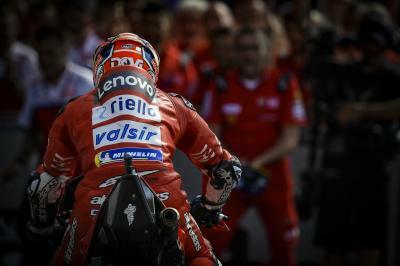 Viñales was the first to overhaul Marquez but it was Miller’s time that was raising eyebrows. 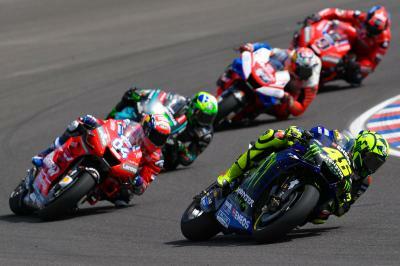 The Australian was 0.4 under after three sectors but he lost it all in the final sector as Dovizioso and Rossi slotted in behind Viñales. But, as ever, Marquez was in the hunt and he tamed his RC213V to grab Termas pole by 0.154 - his fifth in six years in Argentina. Crutchlow was the only rider in attack mode in the final 30 seconds of qualifying and having been pushed down to eighth, last year’s Argentina winner needed to pull something out of the hat. But a mistake in sector three when under a tenth off Marquez put an end to his front row hopes. This left Marquez as the man to spearhead the grid in Argentina, with Yamaha’s Viñales and Ducati’s Dovizioso joining him on the front row. Rossi will launch from P4, ten places higher than where he started in Qatar, with last season’s pole man Miller completing a top five covered by just 0.244. 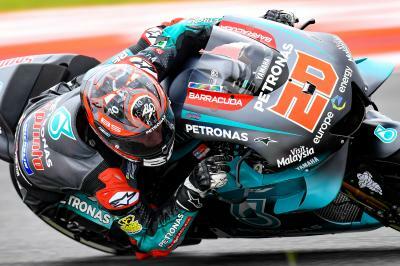 Franco Morbidelli (Petronas Yamaha SRT) will start from his best MotoGP™ qualifying position in sixth, with teammate Fabio Quartararo continuing to impress in seventh – just 0.011 splitting the YZR-M1 duo. Crutchlow, who won from P10 on the grid last season, will start from eighth as he aims for the podium on Sunday, with the British rider joined on the third row by teammate Takaaki Nakagami (LCR Honda Castrol) – the Japanese rider 0.734 from pole in P9 after graduating from Q1. 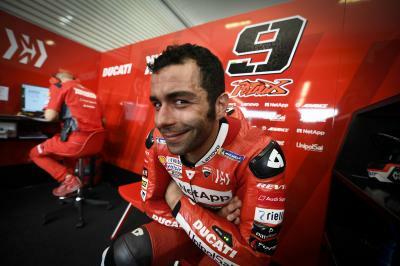 Danilo Petrucci (Mission Winnow Ducati) completes a top ten covered by 0.789 at Termas de Rio Hondo, with Pol Espargaro (Red Bull KTM Factory Racing) starting from P11 after Lorenzo’s fastest lap was chalked off due to exceeding track limits – the five-time World Champion will start from 12th. 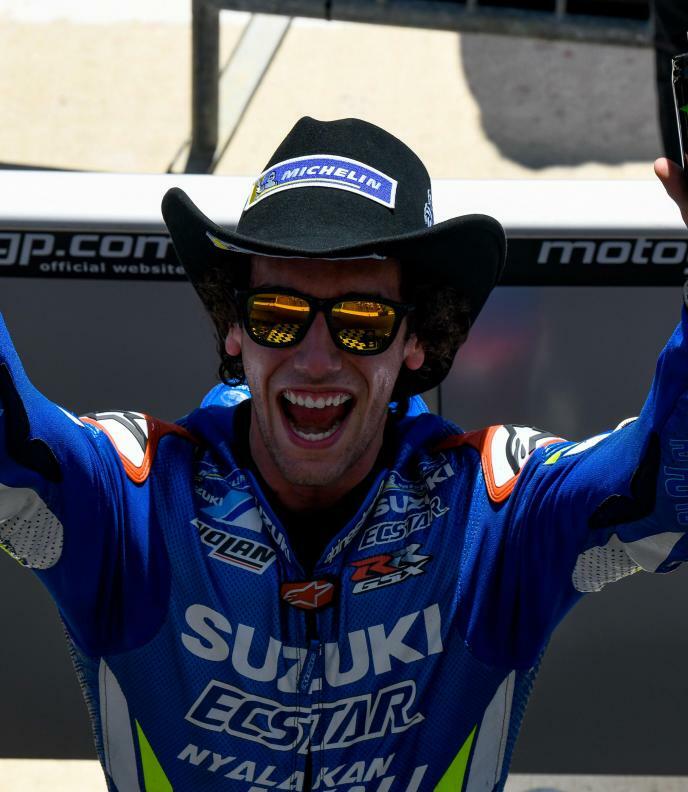 A major shock from Q1 was 2018 Argentina GP podium finisher Alex Rins (Team Suzuki Ecstar) unable to start higher than P16. A repeat of last season’s success looks like an incredibly difficult task for the Spaniard. A tasty looking Termas grid sets us up nicely for the main course on Sunday. Will Marquez dance his way to a first race win of the season, or can a Yamaha, Ducati or fellow Honda rider quickstep past the number 93 and spoil his party? Don’t miss any of the action from Argentina when lights go out for premier class racing at 15:00 local time (GMT-3). Click here for the full results from qualifying!